Brindisa have established themselves as a respected source of the most extensive range of Spanish food in Britain, and have significantly contributed to the current popularity of Spanish staples such as chorizo, Iberico ham and Manchego cheese. The company approached Allies to re-design the interior of their landmark Borough Market store, building upon the successes of the packaging and literature design we’d undertaken for the company. We worked with interiors consultant Emma Oldham of Solange Design to develop designs for the entire interior of the Borough Market store. Our approach placed Brindisa’s range of high-quality Spanish products centre stage, creating an immersive and location-aware experience for customers. 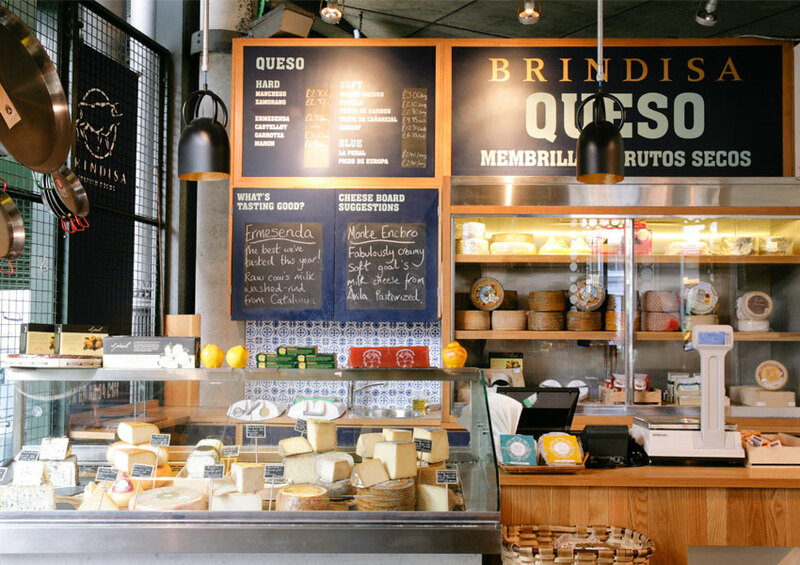 High-impact, informative boards and provenance maps have been used throughout the store to communicate Brindisa’s expertise, and to improve customers’ understanding of Spanish food culture.